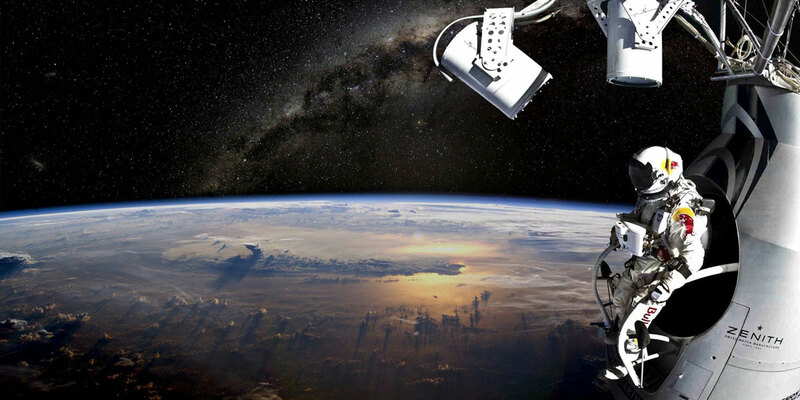 Velocity Sports/Infinity Containers Builds World Class Rig for Jump from Outer Space! Sunriver that is making his harness. the sky diver will jump at nearly 23 miles above the ground. Central Oregon, where he was born, at the end of 2006 "for the climate,"
$3,000 each and Velocity usually sells about 300 a year. a year and he says it's between 90 and 99 percent done. builds, but with a few modifications. pressurized suit deflates during the fall. start turning forward flips and be unable to stop. cord, a loss of oxygen or a drastic change in pressure. The project has already brought attention to the small company. got a sudden rush of orders this year. sitting on about a six-month backlog." credibility in the industry, Farrington said. project, www.redbullstratos.com, but not in any of the mainstream coverage. said, but no specific date or place has been set. just had their first baby in April.